Figure S1. 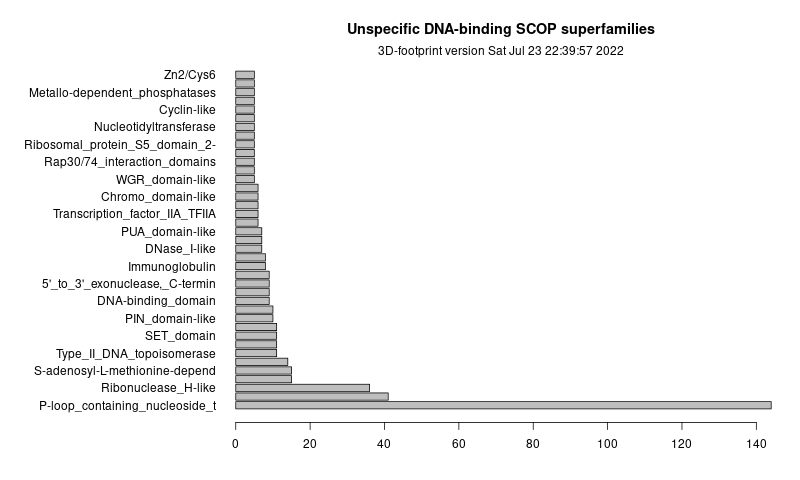 Boxplot of structure-based estimations of DNA-binding specificity for several SCOP superfamilies with at least 7 95% non-redundant complexes (size shown in parenthesis). PWM stands for Position Weight Matrix. Figure S2. 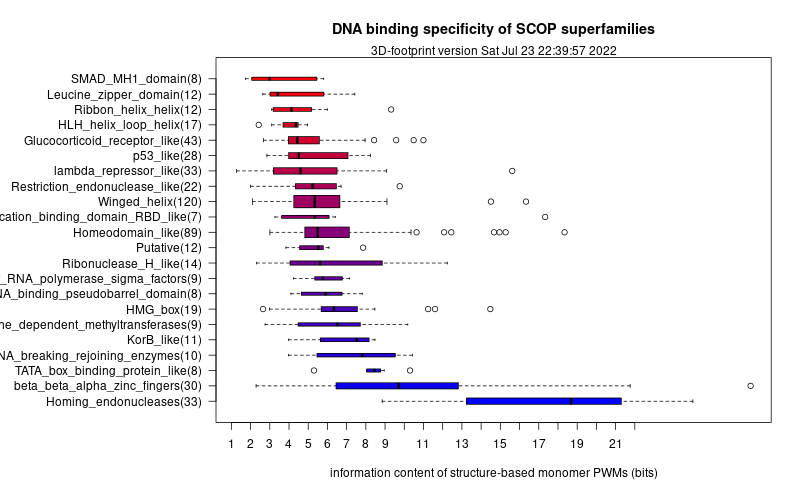 Histogram of SCOP superfamilies including unspecific protein-DNA complexes, defined as those whose structure-based PWMs have less than 4 informative columns. Figure S3. 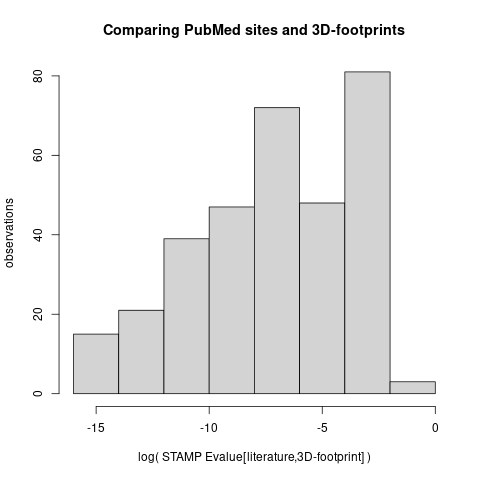 Histogram of STAMP E-values after comparing 327 non-redundant 3D-footprint PWMs with the corresponding literature-extracted sites.